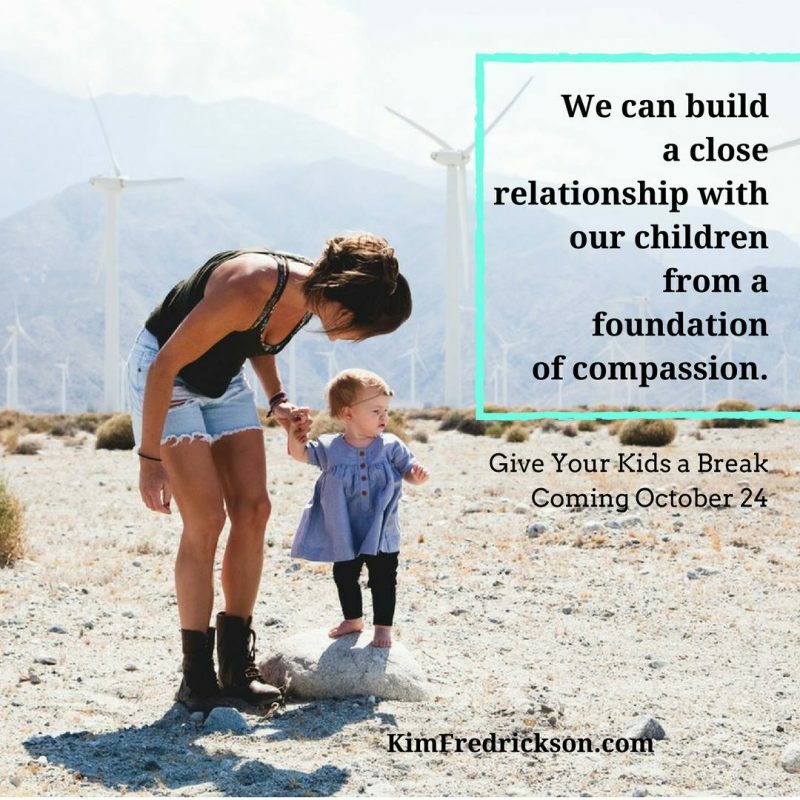 Treat Your Kids and Yourself with Compassion—with a new book by Kim Frederickson! If you’re a parent or spend a lot of time with your grandchildren, sometimes you need a break. Sometimes the kids do too! Author Kim Frederickson, a wise and special woman you should know, has a secret tool for you. Compassion for yourself, as she wrote about in Give Yourself a Break. (And as she deals with some hard life circumstances, she practices what she preaches.) Treating yourself as you would a beloved friend, and as God relates to you. 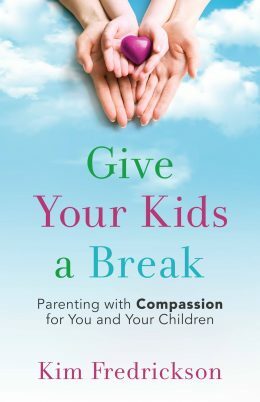 And compassion for your kids, as she writes about in her new book, Give Your Kids a Break, a guide to compassionate parenting. Kim Frederickson is wise because, in addition to her years as wife and mom, she’s a career marriage and family therapist. 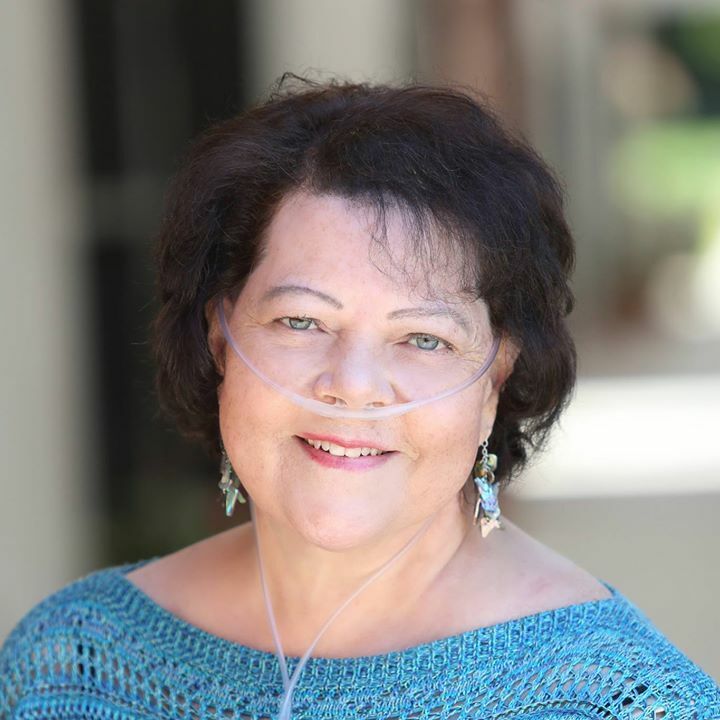 She’s special because she’s battled breast cancer and, as a result of her treatment, she now lives with pulmonary fibrosis, a terminal disease without a cure. Unable to continue her counseling practice, Kim decided to turn to writing to get her message out to help others. Her new book for parents contains all the wisdom and skills she wants her own children to be able to use as they parent Kim’s grandchildren someday—grandchildren Kim isn’t likely to know here on earth. “We have an amazing opportunity to build a close relationship with our children from a foundation of compassion,” Kim says. “As we respond to their imperfections with kindness, they will learn to respond to themselves with compassionate too. What a gift you are giving them for a lifetime! Grace and truth. That’s what you’ll find on every page of Give Your Kids a Break. Just take a look at these chapter titles. I know you’ll see at least one or two that you need help with right now! Most chapters introduce and examine the topic and then show how to live it out, first with ourselves and then with our children. Step-by-step examples for walking through specific kinds of situations and suggestions for how to talk compassionately with children are everywhere. Give Your Kids a Break releases October 24 in Kindle and print editions. You can preorder the Kindle version now for the crazy-low price of just $2.9.! Seriously, you don’t want to pass this up! By investing her wisdom and experience into this book, Kim has given us all an incredible gift. I’m so thankful, and I think you will be too. Kim’s blog about self-compassion is at www.kimfredrickson.com/blog. Her weekly column to pulmonary fibrosis patients and their families is at https://pulmonaryfibrosisnews.com/category/just-breathe-compassionate-help-for-the-pf-journey. I keep wondering how it would feel to be a mama or grandma in Houston today, needing rescue or shelter, food and necessities. How grateful I’d be for that bottle of water or box of diapers, and for the people who provided it. People I’d probably never meet. Strangers “out there” who simply care. But since I’m here and not in Houston, I’ve got to be one of those who simply care, and show it. Since I’m here and not in Houston, I’ve got to be one of those who simply care, and show it. I’m pretty sure you feel the same way. 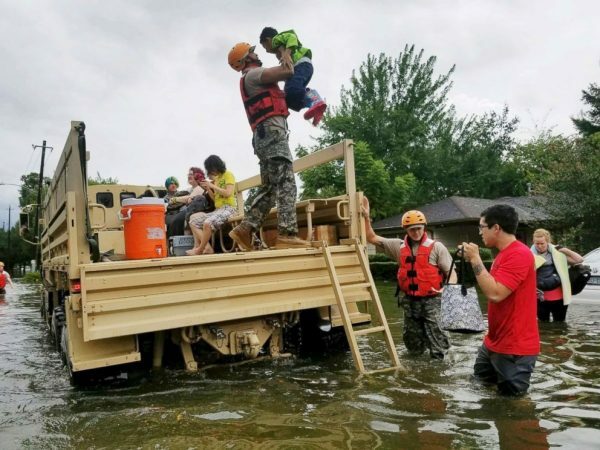 So if you’d like to join me in making a difference, here’s a list of organizations I’m aware of that are hard at work in Houston and welcome your help. Just follow the links to donate. You also can text HARVEY to 90999 to make a $10 donation. This news article tells about the work of this group. We have opportunity, friends. If you have other suggestions for how to help, please share in the comments. Announcing the winners of the I AM Devotional giveaway: Krystal, Jessica … and Maryann (if confirmed with a mailing address yet today). Congratulations! Your books will go in the mail as soon as all three winners are set. I’m thankful for each of you who entered and/or liked the giveaway posts. I especially loved reading the comments you left. Every author needs encouragement to continue, and hearing from moms and grandmas who are sharing my books with children is some of the very best encouragement there is! A new book means time for celebrating with my readers! So I’m hosting a giveaway. 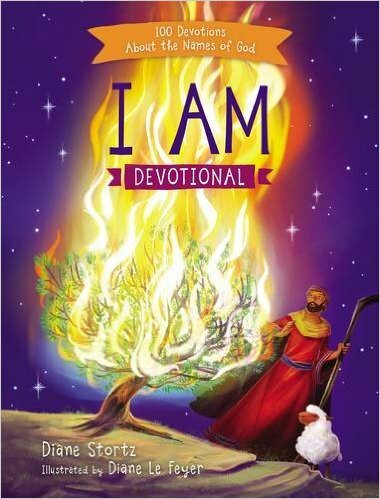 I AM Devotional: 100 Devotions About the Names of God (published by Tommy Nelson) released this week. Getting to know God by name is one of the best ways to relate to Him and to understand His plan for our lives! 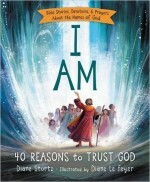 I’m giving away three sets of I AM Devotional PLUS my previous book, the Bible storybook I AM: 40 Reasons to Trust God. The giveaway begins now and ends Monday, June 12, at 11:59 PM EDT. To enter the giveaway, comment “I’d love to win” after this post. NOTE: Winners must be subscribed to my email list. This week I’m sharing excerpts from my new book, I AM Devotional: 100 Devotions About the Names of God, which releases in just six days! Sharing excerpts from my new book, I AM Devotional: 100 Devotions About the Names of God. Sometimes when things don’t go right, you might feel small–like you are just a kid and don’t matter. But you always matter to God. You always have, and you always will. God is your Creator. He made you, He cares about you, and He sent Jesus to save you. That’s how much you matter. That’s how much you are loved! If you could drive to the sun at 65 miles per hour, it would take you 163 years to get there? Our galaxy, the Milky Way, contains more than 100 billion stars? There could be as many galaxies in the universe as there are stars in the Milky Way? God created the universe, and it is HUGE. God can do anything, even things that seem impossible to us! Are there refugees in your community? Kids on your street who don’t speak your language? Kids with disabilities at your school? Do you have friends who are different from you in some way, or do you think kids who are different are outsiders? Do you sometimes feel like an outsider yourself? The shepherds on the hills near Bethlehem were outsiders. Shepherds got dirty, shaggy, and smelly. They weren’t allowed to worship God at the temple like everyone else; they had to stay with their sheep. Shepherds definitely were considered outsiders–people who didn’t matter very much. But that’s not what God thought about them! When a new season begins, your mom or dad might have you try on all your clothes from the year before to see what still fits. It can take a while to put everything on and take it off again. Did you know the Bible tells us to put things on and off, just like clothes? God tells us to put off our sins and bad habits and to put on good attitudes and actions instead. When Jesus is our Savior, He gives us a new forever life–and it starts right now! But we still need to grow. We still need to learn how to live as new people who follow Jesus. Next week, I’ll announce a special giveaway to celebrate release day, June 6. Be sure to enter! Both I Am Devotional and I AM: 40 Reasons to Trust God are published by Tommy Nelson. 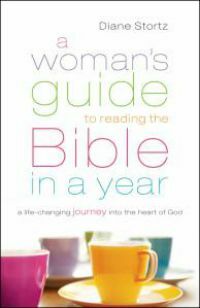 Special note: This is the last week my through-the-Bible readings will appear here on my blog. Instead, you will find them each Sunday morning on my Facebook author page Diane Stortz Books. In the second half of 1 Samuel, David flees from Saul’s threats but eventually the path is clear for him to become king of Israel. And in 2 Corinthians, Paul counters the charges being made against him by false teachers by citing his credentials as an apostle. The weekly readings on my blog are from my book A Woman’s Guide to Reading the Bible in a Year, with simple background information, checkpoints, and journaling space. Available in print and e-book formats. In this series I’ve said that how we live every day becomes our legacy, that God instructs us to communicate faith in Him to the next generation, and that He tells us how. We’ve also looked at specific ways to help our kids and grandkids experience and grow in faith by how we bring God and His Word into the family activities we’re already doing day by day. God cares about your legacy. Proverbs 22:6 says, “Train up a child in the way he should go; even when he is old he will not depart from it.” Proverbs express general principles, not promises. So this famous proverb isn’t a guarantee, but it does tell us that God cares about your efforts to train your children for Him and that you can expect your efforts to have a good result. Children of believers are set apart. First Corinthians 7:14 says, “The unbelieving husband is made holy because of his wife, and the unbelieving wife is made holy because of her husband. Otherwise your children would be unclean, but as it is, they are holy.” This isn’t a promise of salvation, but it does indicate some kind of special concern in God’s heart for the children of believers. but it shall accomplish that which I purpose, and shall succeed in the thing for which I sent it.” Our job is to teach our children the Word. The results aren’t up to us, but the good news is the power and purpose of the Word always succeed. Small beginnings please God. After seventy years of exile in Babylon, the Jews returned to Jerusalem to begin rebuilding the temple, but the work was slow and faced much opposition. The prophet Zechariah wrote, “Then another message came to me from the Lord: ‘Zerubbabel is the one who laid the foundation of this Temple, and he will complete it. Then you will know that the Lord of Heaven’s Armies has sent me. Do not despise these small beginnings, for the Lord rejoices to see the work begin, to see the plumb line in Zerubbabel’s hand’” (Zechariah 4:8-10, italics added). Your efforts to live your legacy and teach your children and grandchildren about God may seem small to you right now, but they are a starting place. Or maybe you need to restart your efforts, or dive in for the very first time. The Lord rejoices with you to see the work begin. So begin, keep going, don’t stop. You CAN do this! The concluding chapters of Paul’s first letter to the Corinthians include some now-famous words about love. Then we turn back to the Old Testament and follow Samuel as he becomes both prophet and Israel’s last judge and Saul as he becomes king but loses the kingdom. This Mother’s Day both grandmas will watch as our newest grandson is dedicated to the Lord. I’ll be happy, of course! But I’ll also be aware of all the women in the congregation who find Mother’s Day to be as much about sorrow and pain as joy and happiness. Some of them won’t even make it to church. Mother’s Day can bring a lot of joy . . .
To new moms, first-time moms, moms whose children are succeeding and accomplishing goals, moms with healthy babies, women whose own moms are loving, understanding, and supportive. But Mother’s Day can bring a lot of pain . . .
To women who can’t conceive, women who’ve miscarried, women with sick babies, women who’ve lost children, women who’ve had abortions, women whose children are prodigals, women whose own moms were not shining examples of motherhood, women in grief. Mother’s Day is a happy day for me. But along my road as mother and as daughter, I’ve experienced losses of various kinds and had to deal with grief. 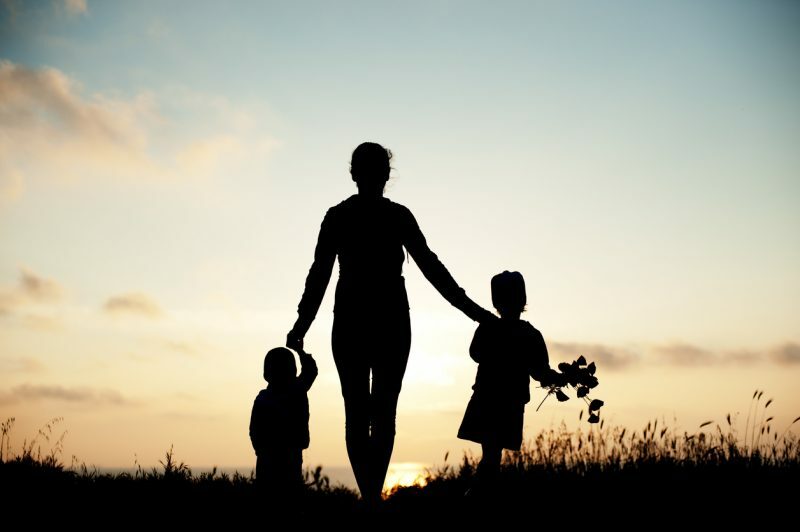 God tells us to honor our parents. The honor is due them for their position even if, for some reason, not their behavior. Churches often recognize moms or dedicate babies on Mother’s Day. I’m not sure why. Yes, we are to honor one another (Romans 13:7), and moms deserve honor and encouragement, and those babies can make for an entertaining morning. But if the observance doesn’t also acknowledge the real hurt of women who grieve and women who long to be moms but are not … then those who struggle find their grief disenfranchised by those who should be the first to love. So this is a plea for all of us to be aware. If your church celebrates Mother’s Day in any way that disenfranchises grief this year … maybe you can help turn things around for next year. And maybe you know a woman for whom coming to church on Mother’s Day will be a struggle. Maybe you can speak a simple word of acknowledgement, or write a note, or give a hug. ** The quote is from my co-author, counselor Cheryl Savageau, in the chapter on grief in Parents of Missionaries (IVP). This updated post was first published at ChristianChildrensAuthors.com in 2013.